We are a family run independent London Plumber that is Gas Safe certified with years of plumbing experience servicing East London. We can service and install any type of boilers, we attend your property 24 ours a day and we can also design and build you a perfect bathroom. We pride ourselves on being a friendly and knowledgeable and will come to the rescue if you need an emergency London plumber, we will come over and fix a little washer or plumb your whole house if needed; no job is too big or small. Worried about levels of lead in your water supply? Or want to remove the lead water pipes within your property. We will normally replace the water pipes from the mains with Medium-density polyethylene (MDPE) pipe. If you need to replace you cold water tank for your gravity fed boiler or just move it we can undertake this work for you. Older houses once used galvanised steel which eventually will rust and leak over time. We will replace this with polythene cistern/tank. Need a London plumber to install a new wash hand basin? We are more than happy to work on these smaller plumbing jobs. No plumbing job is too small. We can install new basins or replace the pipe work to existing basins if water is leaking or taps are dripping. Our London plumbers are experts in fixing water leaks. Sometimes it’s just a matter of tightening a joint up or replacing a washer. However leaks that are left unattended can cause serious damage, Please call Expert Plumbers London to find out more on 0203 538 0795. We can repair blocked macerators and replace faulty units. We can also plumb in new pipework for new macerators when space and routing for pipework is too small for standard waste pipes. We can plumb in any type of suitable pump or valve. 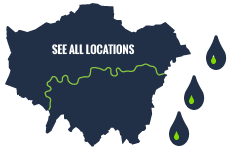 We are happy diagnosing existing problems with valves and pumps and source in an emergency replacement valve or pumps that will work with your existing plumbing across London. The choice of sanitary ware is endless. We pride ourselves on installing the perfect bathroom suit with perfectly neat pipework either hidden or done in chrome to fit in. We hate painted pipework and pipe clips on show and we love seamless lines. We leave all our plumbing jobs neat and tidy. Washing machines, dishwashers, ice machines, fridges water supplies, waste disposals and water softeners installed and leaks repaired. We install all cold, hot water and waste water supplies to your white goods. We hide all our pipework and connect into existing pipework where we can. 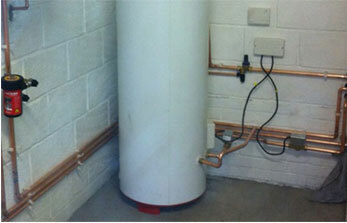 We use none return valves where necessary to keep your cold water supply in top condition. Very thorough, super polite and more than happy with my new power shower installed by Plumber East London.